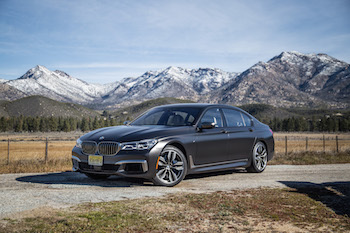 PALM SPRINGS, California - BMW has been making V12 engines for thirty years now, and it all started with the original 1988 BMW 750iL. 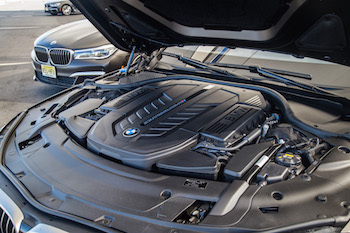 Essentially two straight-sixes bolted together at the hip, BMW’s first production V12 in the 750iL offered elite customers a smooth and authoritative engine with a vibrant soundtrack that only a symphony of twelve could master. 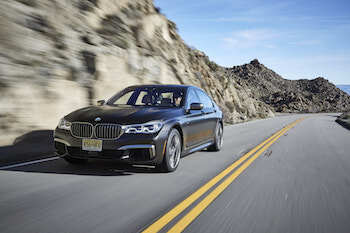 The 750iL delivered 300 horsepower, which at the time was considered mind-bendingly fast, and it accelerated from 0-100 km/h in a mere 7.4 seconds, the same as a modern day Subaru BRZ. 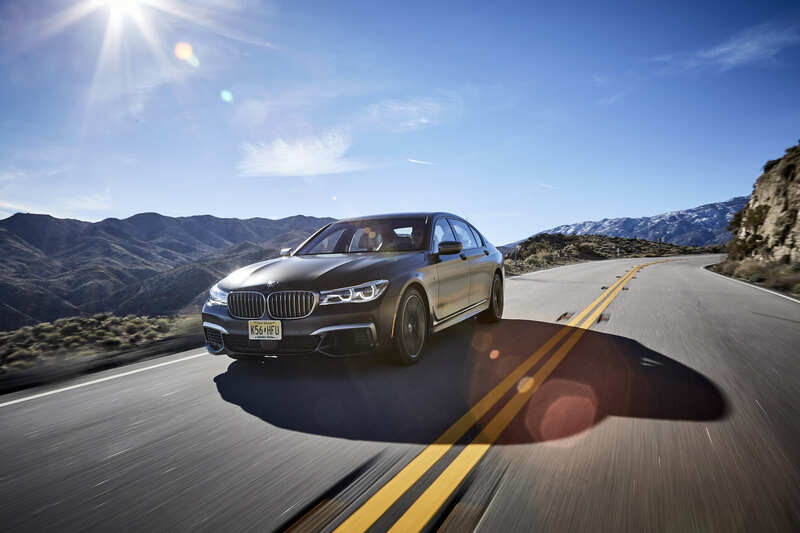 The 750iL was the pinnacle of automotive achievement, successfully marrying state-of-the-art luxury and technology with V12 performance. 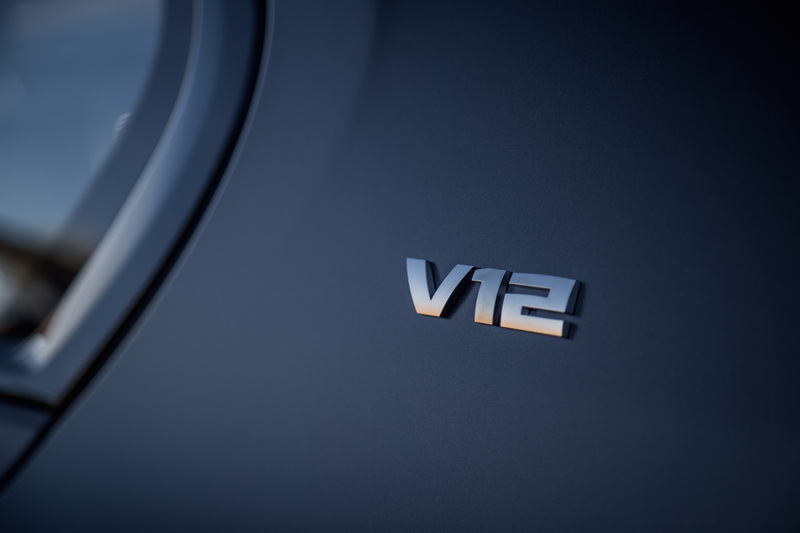 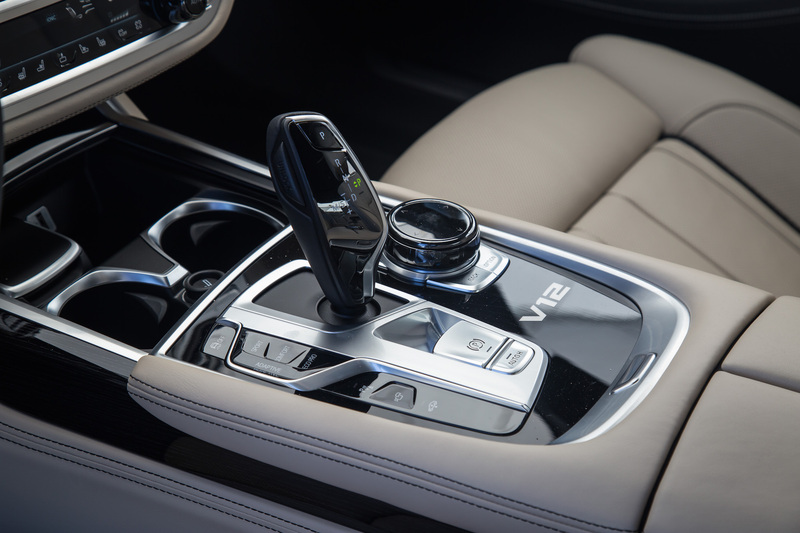 Since then, V12s have become a staple of the 7 Series flagship with its family recipe passed on for generations under different nameplates like the 760Li. 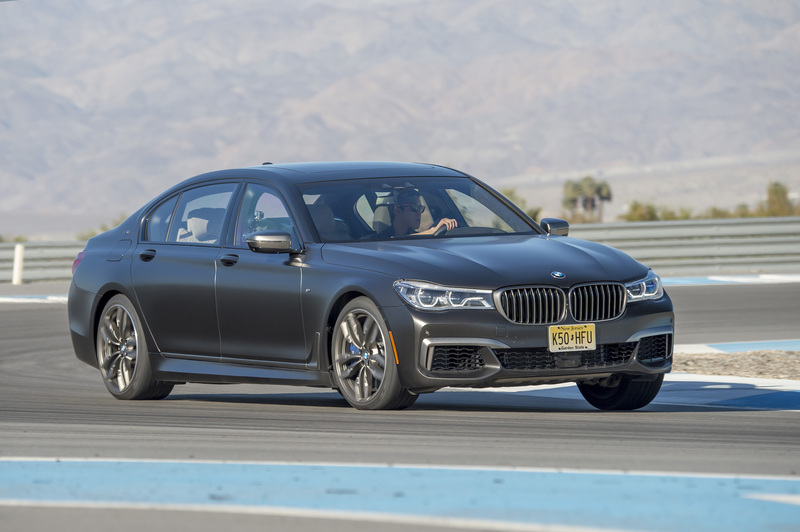 But for 2018, traditions are broken – BMW slapped an M badge on the rear (and on the fenders, engine cover, wheels, calipers, steering wheel, gauge cluster – you get the point). 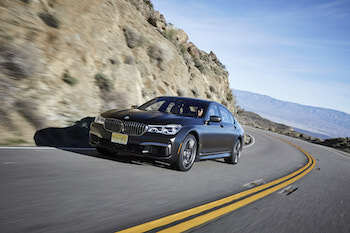 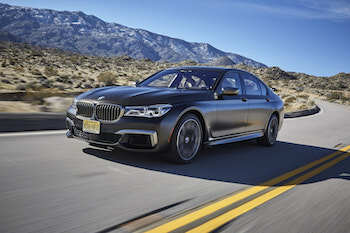 In an attempt to bridge the gap between track-ready performance and gentle road behaviour, BMW tasked their M Performance division to transform their sixth-generation 7 Series into a bipolar powerhouse capable of traveling long distances in comfort and being able to tear up a racetrack thereafter, all without breaking a sweat. Hence, the M760Li xDrive was born. 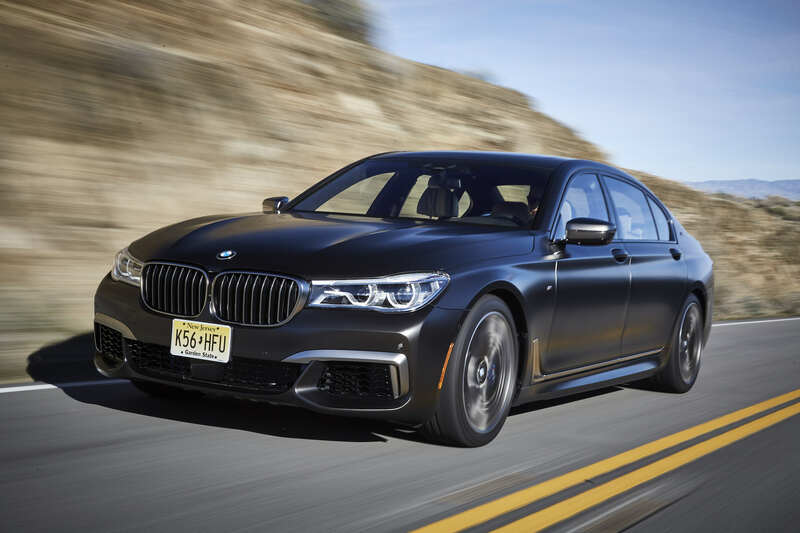 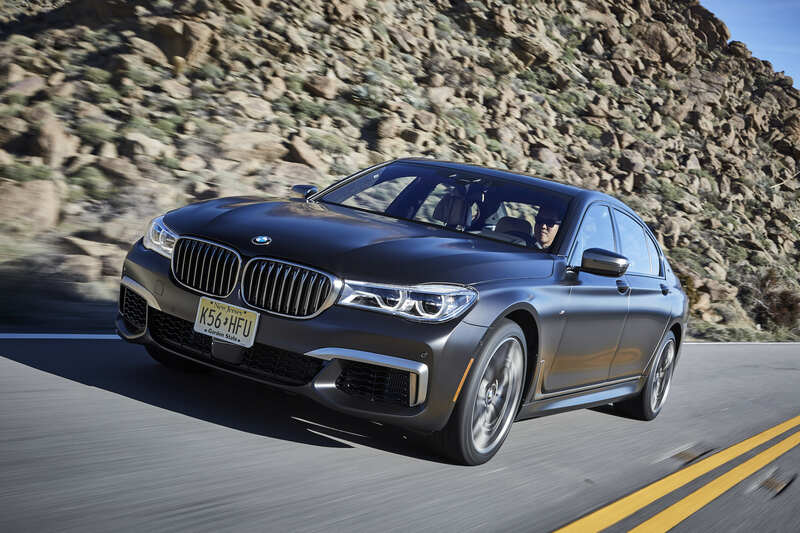 Think of BMW’s new creation as the sweet spot between a full-blown M7 and a standard 750Li – a pseudo M car you could call it, falling within the ranks of the M235i and X4 M40i, except this recipe has been followed to the tee: big V12 engine, insane amounts of power, a smooth ride, and enough innovation and technology to break the Internet. Under the hood of the M760Li is a nuclear 6.6-litre twin-turbocharged V12, an engine that is also shared with the familial Rolls-Royce Wraith that we tested earlier this summer, and delivers a staggering 600 horsepower and 590 lb-ft of torque from 1,550 rpm onwards. 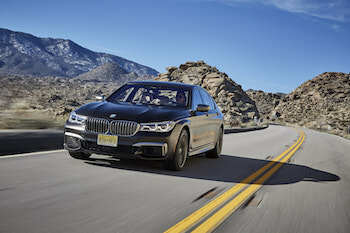 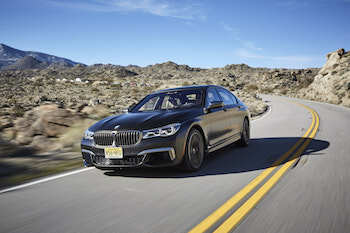 Power is routed through a ZF 8-speed automatic to all four wheels via BMW’s xDrive all-wheel drive system – note that it’s not a full “M car” so a dual-clutch transmission and rear-wheel drive are off the table. 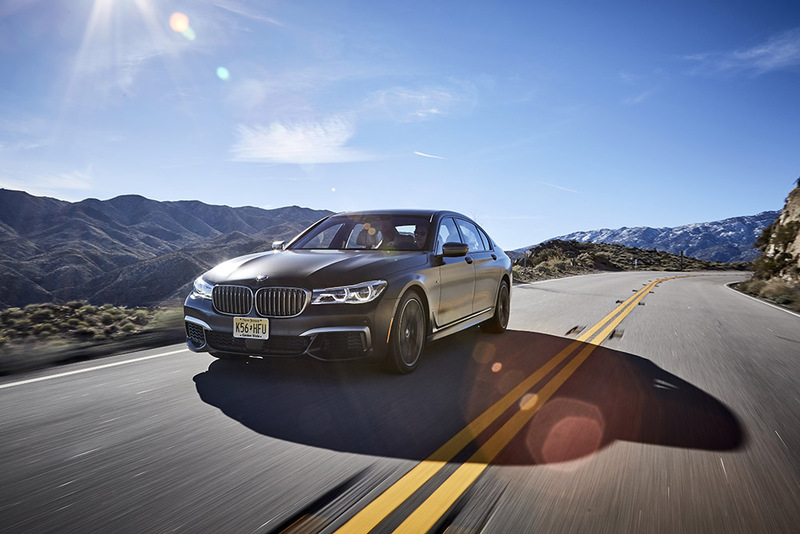 Nevertheless, with all four paws on the ground the M760Li can rocket from 0-100 km/h in 3.7 seconds – that’s not only quicker than the M4 GTS (3.8 s) and the Mercedes-Benz S65 AMG (4.3 s), but that makes the M760Li the fastest production car to ever wear the blue roundel. 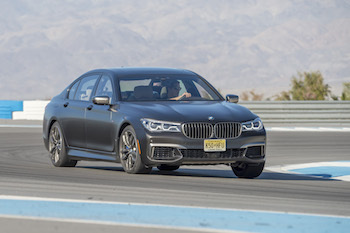 And if the badge didn’t give it away, the M760Li gets the proper M treatment as well, with bigger Brembo brakes, sticky Michelin Pilot Super Sport tires, and a re-tuned suspension. 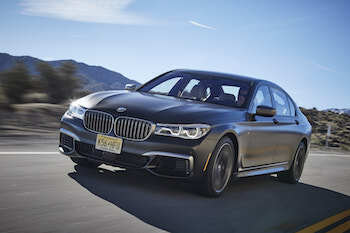 Compared to the standard 750Li, the M760Li also receives a unique front apron (which forgoes the standard fog lamps), rear apron, lip spoiler, side mirrors, and unsymmetrical quad-tipped exhaust. All of the meticulous trimmings have further been dipped in an M760Li-exclusive Cerium Gray paint, including the wheels, kidney grill, hockey-stick side accent, badging, and exhaust pipes. And to make sure your $159,900 doesn’t go unnoticed, there are proper “V12” badges on the C-pillar, door sill and center console panel. 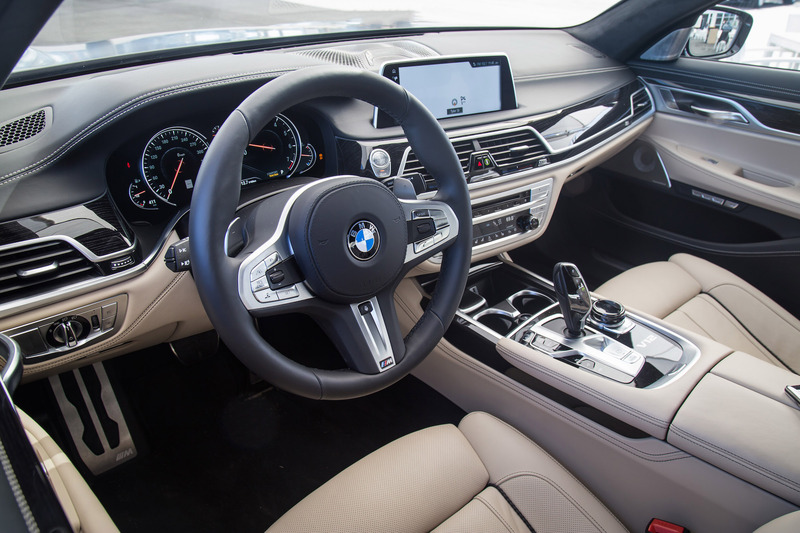 Oh, and there’s a new steering wheel as well with the heating button awkwardly placed below the center cap. 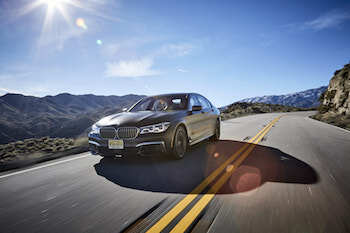 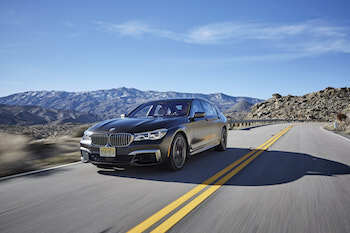 To prove that their 2,326 kg land yacht is not just all talk and no walk, BMW flew us to sunny Palm Springs, handed us the keys a fresh-off-the-boat M760Li and in hopes to demonstrate its dual personality, let us coast up nearby mountain roads and at the end of the day, stretch its muscular legs on the demanding Thermal Club Raceway. 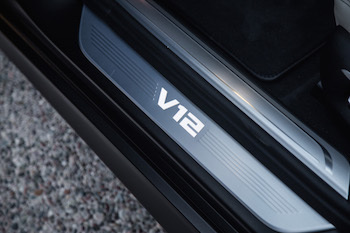 I was skeptical at first. 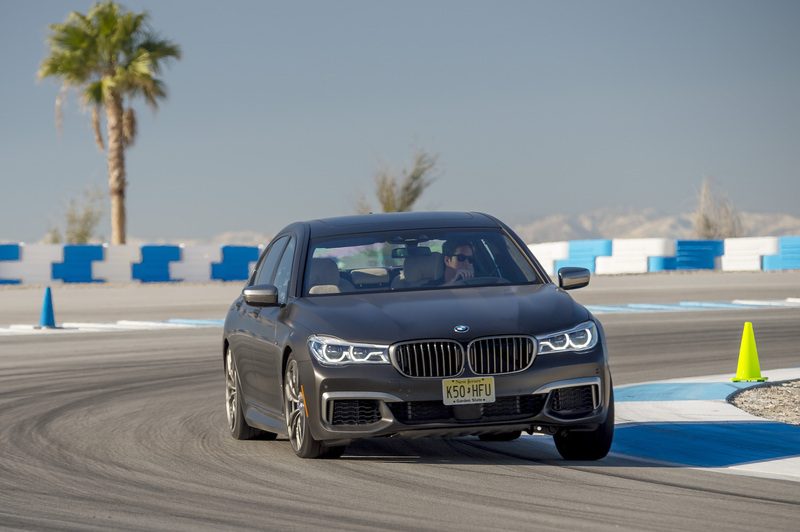 Who in the right mind brings a 7 Series to a racetrack? 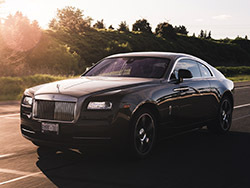 It’s the last place you would find one of these cruise missiles, except in the parking lot reserved for airport limousines. 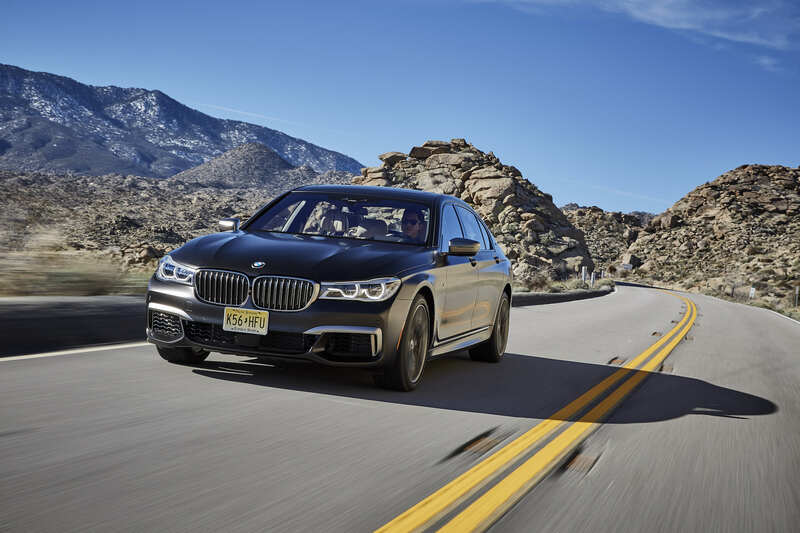 Luckily (we had a huge breakfast), our first stint involved a cozy drive up the Palm to Pines Highway on the outskirts of Palm Springs. 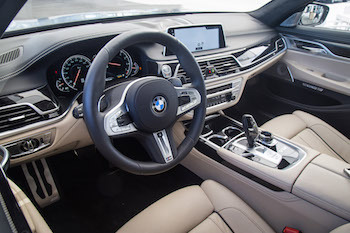 It was here that we got to experience the full luxury spectrum offered by the M760Li – its massaging seats, heated armrests, bombastic Bowers & Wilkins speaker system, Gesture Control that recognizes finger twirls to adjust volume, and unique air fragrance that is pumped into the cabin for a sensory workout. The suspension is even linked up to the GPS so that the vehicle can preview roads ahead for optimal tuning of the springs and dampers. 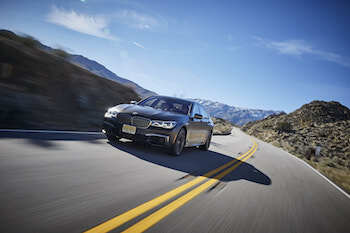 The cosseting ride was short lived though, as the roads around Mount San Jacinto started to get twisty. Hairpins came out of nowhere, with blind turns and narrow lanes demanding every inch of our attention. 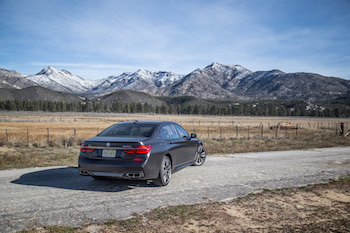 We don’t get roads like these in Ontario, and a stroll around these mountains makes us wonder why we haven’t moved here yet. 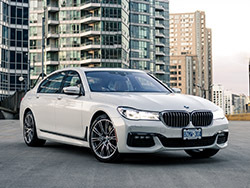 The M760Li is an enormous vehicle and it only comes in long wheelbase form in Canada, yet behind the wheel it drives and feels smaller than it really is. 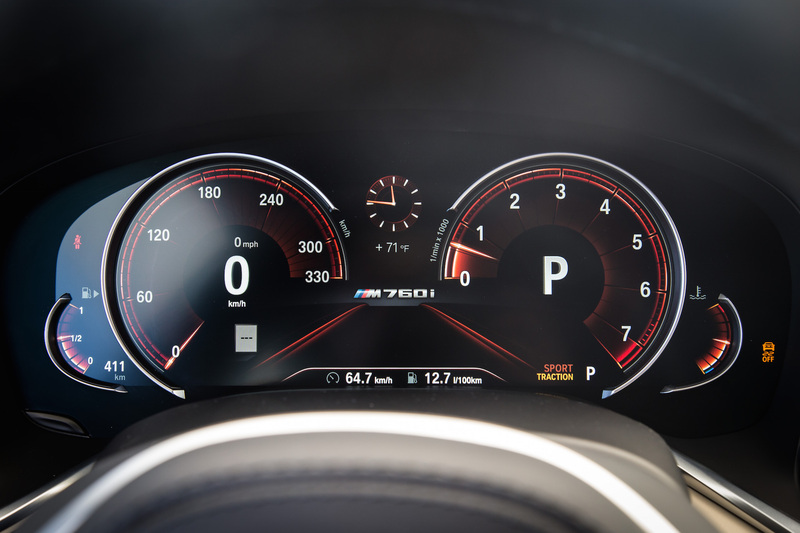 With Sport Mode firmly engaged, the inner track demon of the M760Li finally awakens. 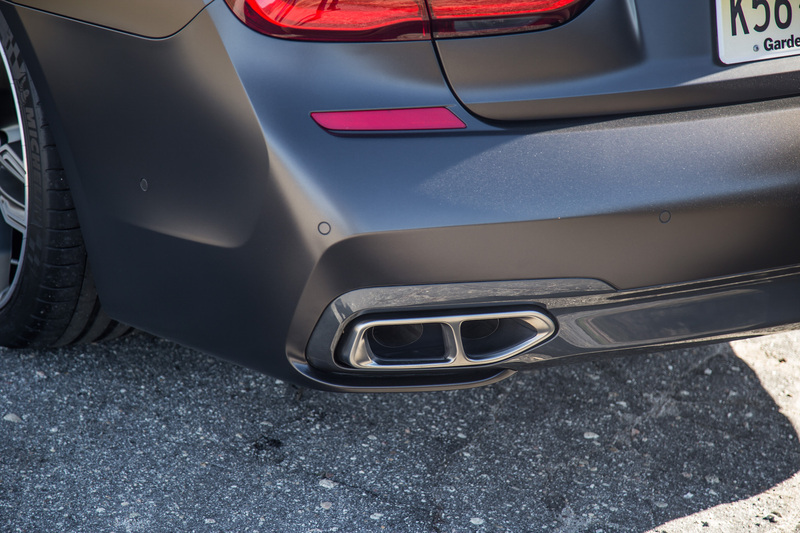 The dampers firm up, the steering gets heavier, the gas pedal becomes pin-needle sharp, and the exhaust valves fully open. 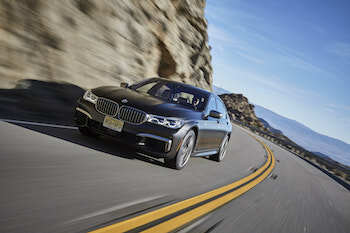 The flagship Bimmer unwaveringly hugs the tarmac like white on rice, body control is incredibly taut without much lean or roll around high speed corners, and though you can certainly feel the weight around wide ascending turns, the initial bite and turn-in is wickedly good, thanks in part to the rear-wheel steering and a lightweight carbon-fibre reinforced structure. 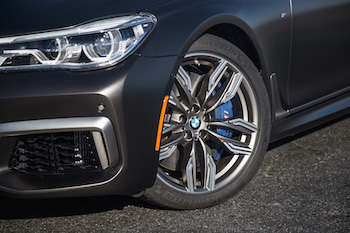 I’m also glad that BMW stuck with 20-inch Michelin PSS tires rather than the 21s, offering that delicate balance between ride comfort and grip. And when that twisty stretch of road finally straightens out, there’s nothing quite like a twin-turbo V12 to propel you into speeds that you’d be too scared to admit without alcoholic encouragement. 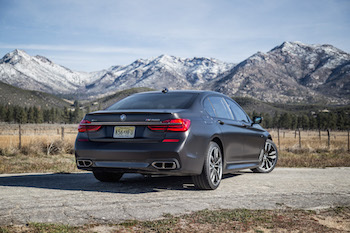 The commanding barks, farts, and howls that follow out of the exhaust are just the cherry on top of what is otherwise a magnificent highway cruiser. 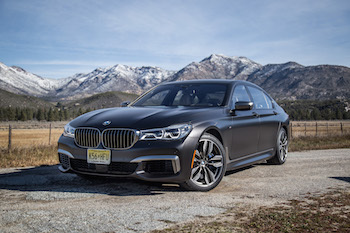 The sheer weight of the M760Li was my initial concern when I first got into the car, but boy even with that hefty penalty it handles like a champ. 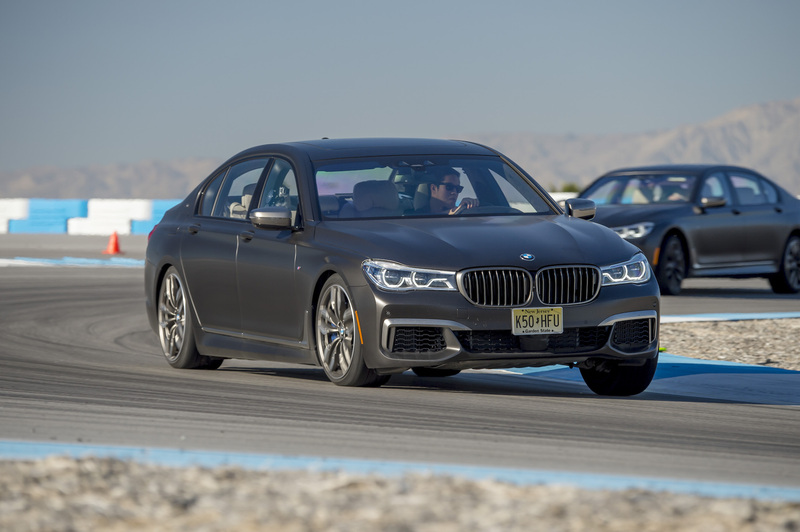 And its dual personalities became even more apparent when we made our way to the Thermal Club racetrack, home to BMW’s Performance Driving Center. 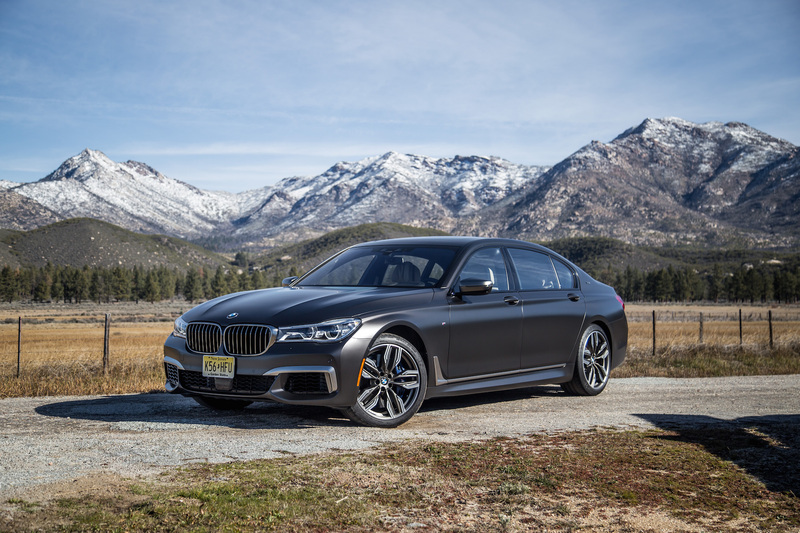 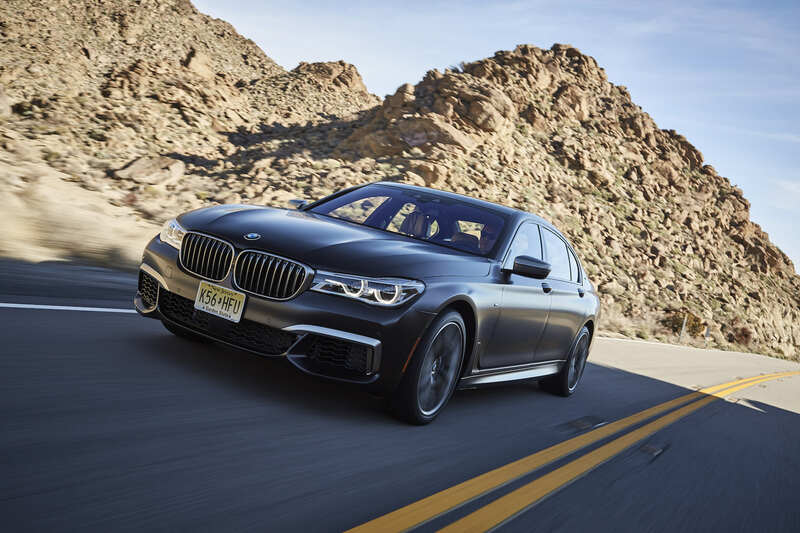 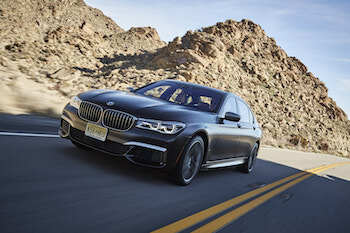 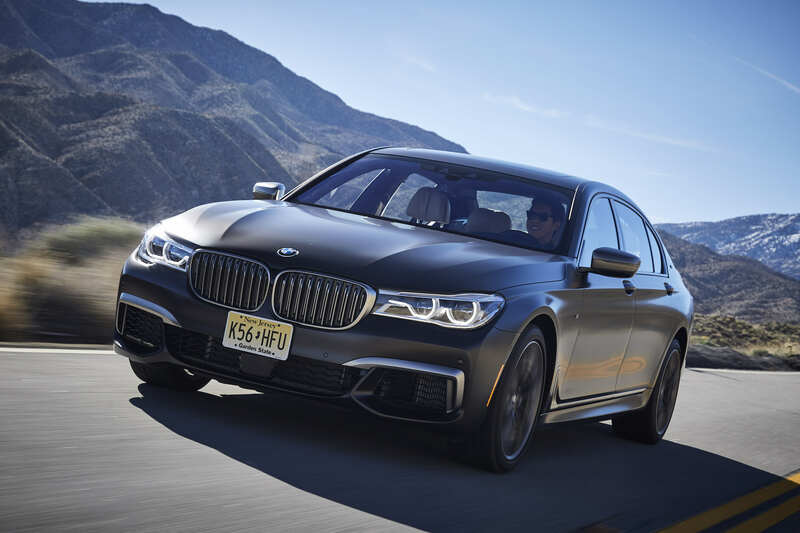 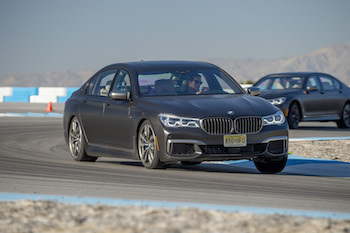 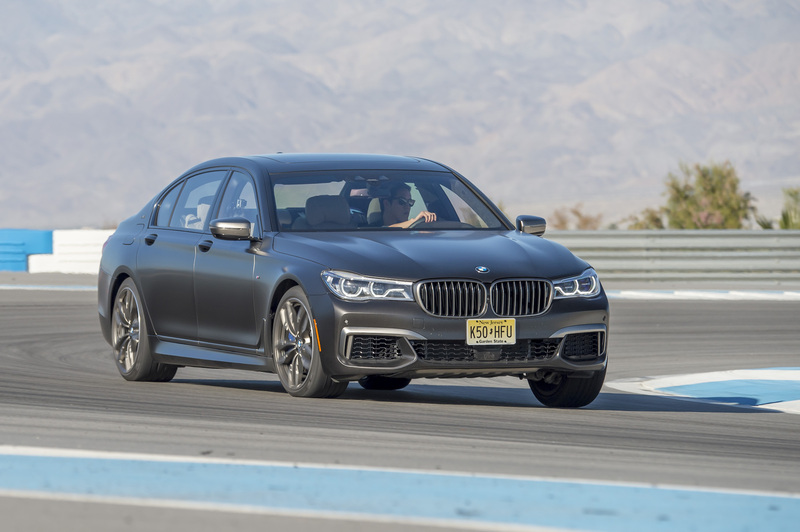 You can view our hot laps with the M760Li below, but it’s safe to say that no luxury sedan should handle this good around a track, especially one as technical as this. We also had the chance to experience launch control and with any car hitting 100 km/h below four seconds, the G-forces become bewildering and borderline nauseating. 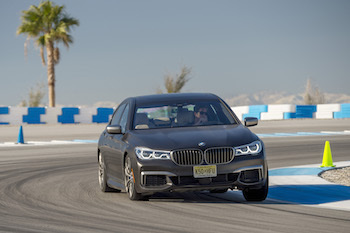 Why didn’t BMW just build an M7 then if they wanted to witness the checkered flag? Well we had the same question. 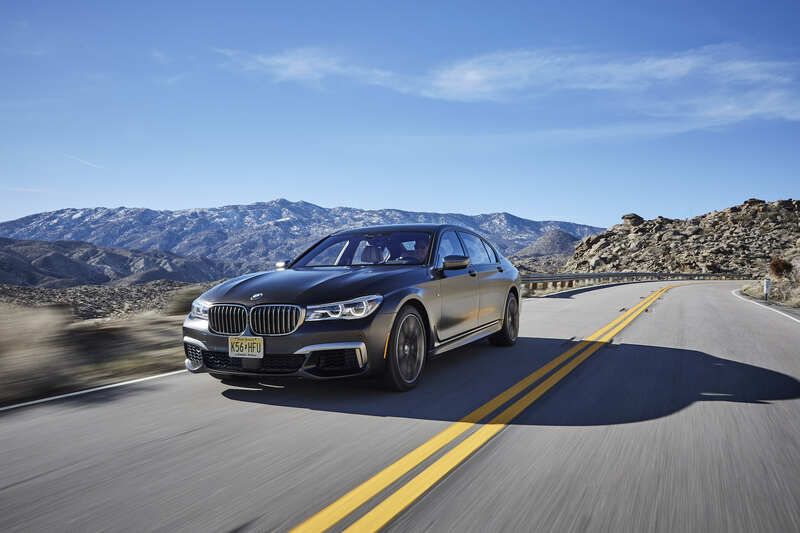 “This is what made the most sense to us and to our select clientele,” answered Carsten Pries, Head of Product Management at BMW M, when asked about its viability. 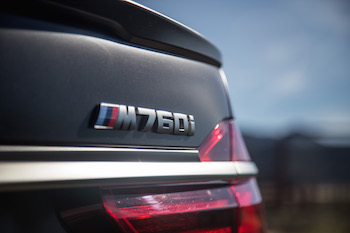 To me at least, an M7 feels rather redundant. 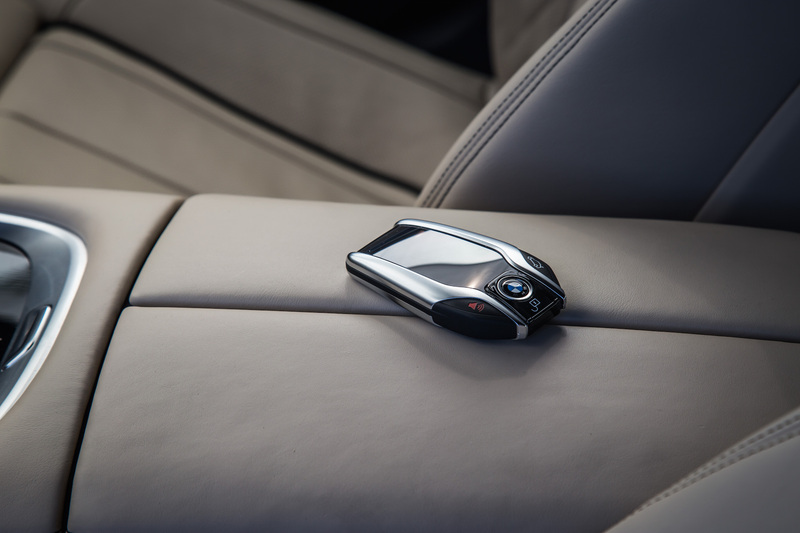 The M760Li delivers all the performance you really need in a velvet glove. Of course, other V12 monsters like the S65 AMG make their mark with bigger torque figures and meaner exhausts, but the M760Li is noticeably quicker and handles less like a boat around corners. More limited sedans like the Alpina B7 offer the same amount of power as the M760Li but with four less cylinders and a cheaper price tag. 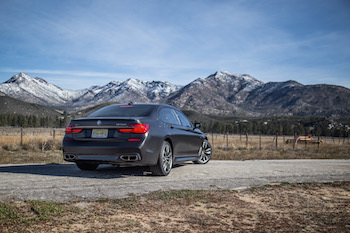 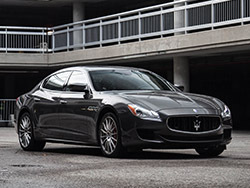 Without the intention of sounding cliché, there really is no replacement for displacement. The mechanical shriek of a dozen cylinders starting up, the linearity of its power delivery, and its emotional soundtrack put the M760Li into a class of its own. 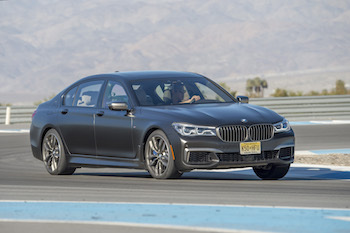 In the end, BMW isn’t going to sell a lot of these, but for these select customers with V12 expectations looking for an executive sedan that can chauffeur them to the racetrack and set a lap record thereafter, the M760Li is certainly the crème of the crop. 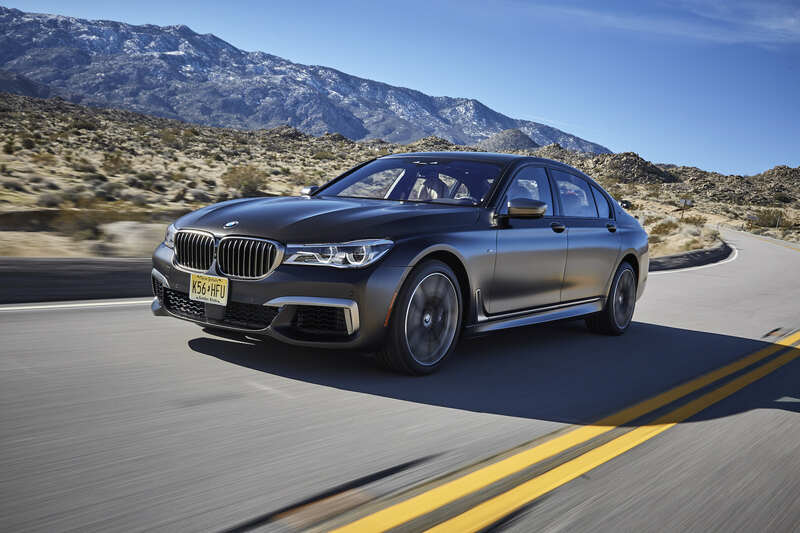 Who would have ever thought that thirty years ago, BMW laid the blueprint for what is possibly the most grandiose sedan to ever master the art of the road and track.